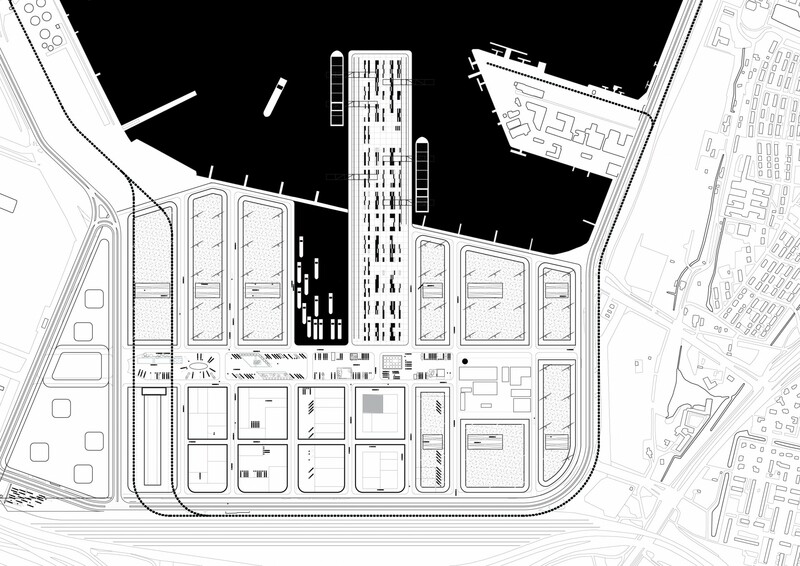 Waalhaven Zuid, a derelict harbor area in the South of Rotterdam, has an outstanding location in the network of freight transport. It has connections to road (A15 highway), water (both short and deep sea) and rail infrastructure (Betuwelijn). 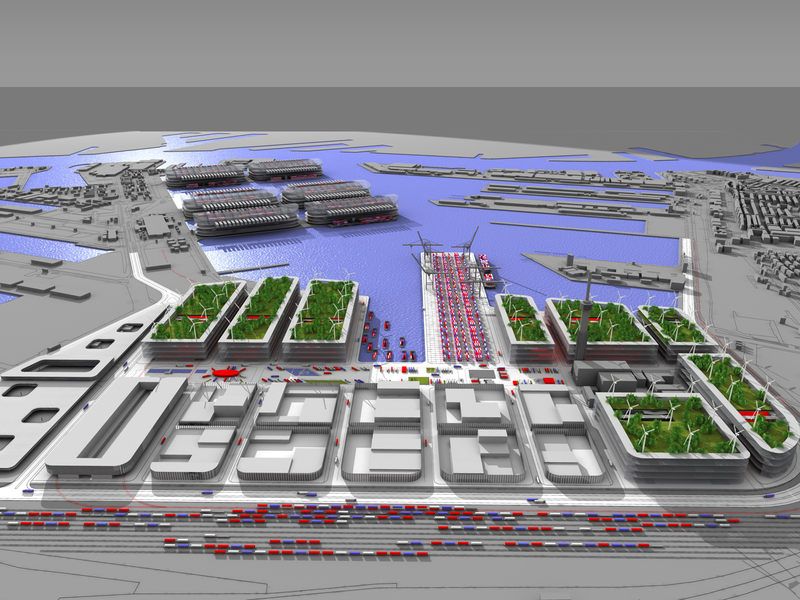 This project proposes to transform Waalhaven Zuid into a logistics superhub that combines a very high distribution capacity with an excellent connection to all these modes of transport. 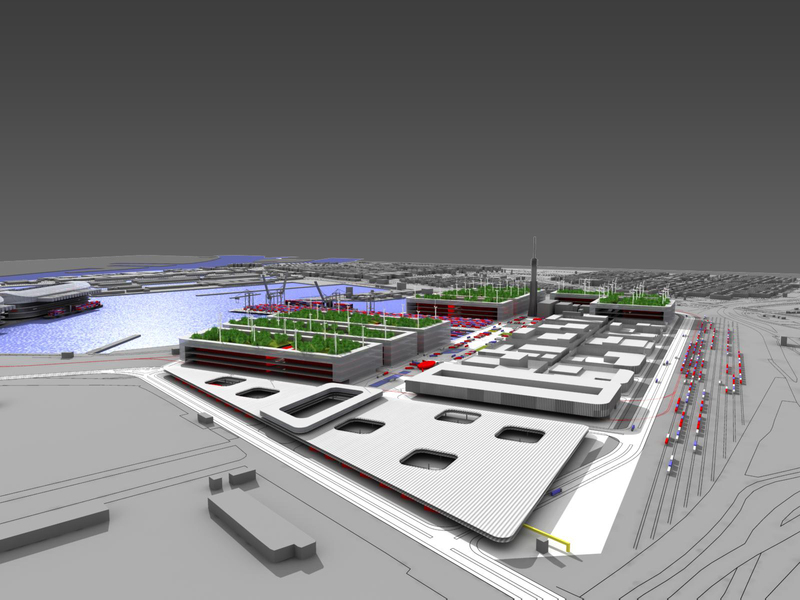 The project takes the existing layout and road infrastructure of Waalhaven Zuid as a given. Within this framework the area will be gradually transformed into a hyper efficient logistic superhub. In order to do so, the buildings are scaled up drastically in all three dimensions. The core business of Superhub is Value Added Logistics. Instead of just storing and trans-loading cargo, the cargo will be subject to a simple production operation such are repacking, labeling or assemblage . In this way value is added, money is earned and jobs are created. By connecting the area directly with rail and water, Superhub triggers the use of these modes of transport as an alternative to road transport. This so called “modal shift” is necessary to reduce the dependence of the Dutch (and European) logistic sector on truck transport. In Superhub, business clusters (fashion, food, electronics, etc.) will be created to achieve synergy advantages, share services and improve the corporate appeal of the area. The final masterplan consists of an array of purely functional buildings around a linear plaza that forms the social heart of the area. 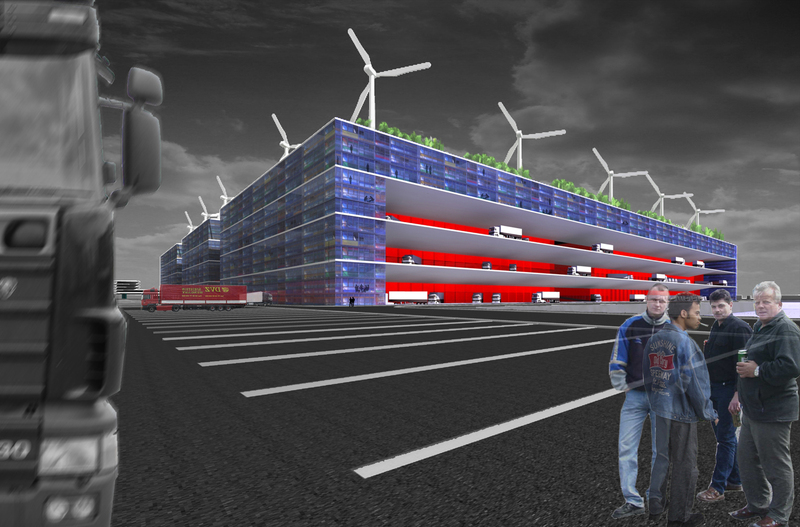 Here one finds large truck parking’s and services for the users of the Superhub: truckers and employees. A new container terminal links Superhub’s distribution capacity directly to both short- and deep sea. By introducing multi-storey warehouses, the distribution capacity of the site will literally be multiplied. A central system of ramps makes it possible for trucks to navigate the buildings vertically. 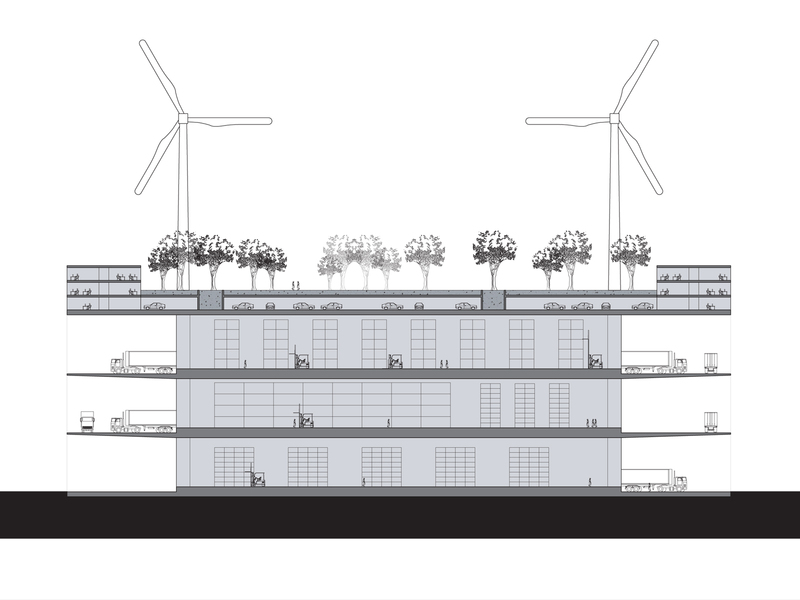 The so called 3D-Distri buildings are framed by functions that relate to the distribution function of the complex and the specific product group it deals with. One can think of offices, shops, consulting services, outlet centers and showrooms. 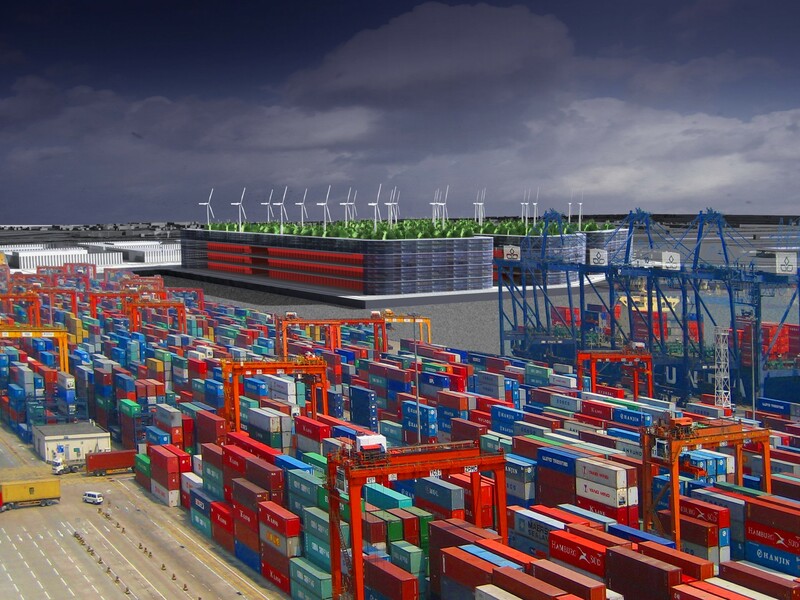 Superhub Waalhaven provides a model for concentrated logistic main ports, being an alternative for the sprawl of logistic business parks all over Holland that fully depend on car and truck mobility. 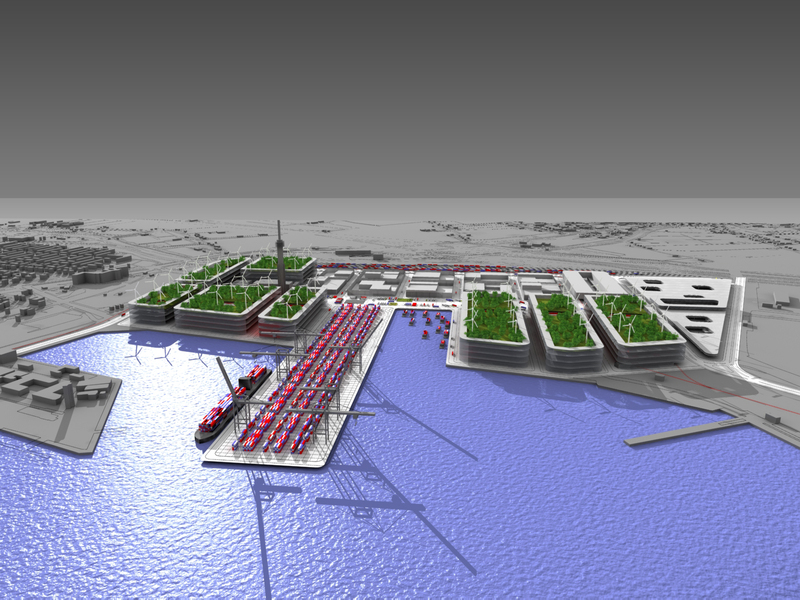 The project also pleads for bringing back true harbor activity in the immediate vicinity of Rotterdam. A city struggling with an unrealistic vision of “city harbors” that envisages fantastic housing ambitions along the river it cannot make true. Rotterdam is a working city.